Easy Cut Studio is the industry’s premiere sign making and vinyl cutting software for Windows that allows you to cut any TrueType font, any SVG image and any design you want using an electronic cutting machine ( vinyl cutter and cutting plotter). Works with your installed TrueType and OpenType, and Dingbat/Wingding fonts. This viny cutting software can import various file formats but also provides a full set of drawing and editing tools to create your own designs for cutting. 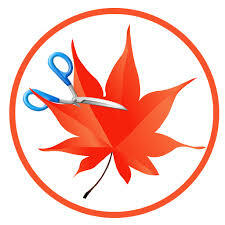 It has many key features to make your cutting with intuitive ease, such as convert raster images (including BMP, PNG, Tifff, GIF, JPG) to vectors for cutting, weld texts and shapes together, print and cut, make rhinestone templates, create lattices, Fit objects/text to a path, laser cut preview, unlimited undo/redo, working with layers, and more. Easy Cut Studio supports a wide range of vinyl cutters, including GCC, PixMax, Roland, KNK, Redsail, Silhouette SD/CAMEO/Portrait, Craftwell eCraft, Craft ROBO, Graphtec, Mutoh, TENETH, USCutter, Foison, GoldCut, Summa, Creation PCut, Vicsign, KingCut, Rabbit, Ioline, CutOK, SignMax, SilverBullet, Bosskut Gazelle, BlackCat Cougar/Lynx, Pazzles Inspiration, Liyu, Ramtin, Tenneth, Geokit, Vinyl Express and more other vinyl cutting machines.The interface has different panels that are easy to use, and that give you access to all the tools you need to work, without having to open lots of different windows. You can create amazing quality work with Easy Cut Studio, and forget about complicated professional software.